Amazon knows that you're not going to leave your iPhone or Galaxy S behind to buy its new Fire Phone without some convincing. The battery life is just okay -- you may need to stop and charge during a day of heavy use -- and the camera isn't radically different from what you'd find on competing devices (though Amazon does offer free photo storage). And the Fire Phone doesn't look remarkable -- it's a slim, black rectangle and a little on the heavy side. So how does Amazon (AMZN) plan to convince satisfied iPhone and Galaxy S users to make the switch? Three ways: Shopping tools, 3-D graphics and some snazzy custom software. Let's take them one by one. Shopping: The Fire Phone is as much a shopping tool as it is a smartphone. The standout feature on Amazon's phone is Firefly, which is basically a Shazam for objects. Firefly uses your phone's camera to recognize things like books, food, video games and household products and then gives you the option to buy all that stuff on Amazon. It's cool, but also slightly sinister -- Amazon might as well call this feature "showroomer." The novelty factor is considerable, but it's not clear that Firefly is solving a very compelling problem. Are there many people who think it's too hard to buy things online? In addition to products, Firefly works with music and TV shows, and developers can integrate it with their apps -- for example, you can use Firefly to figure out who sings the song playing on the radio and then buy tickets to one of their upcoming concerts using StubHub. Amazon is sweetening the deal for shoppers by bundling the Fire Phone with a free one-year subscription to Prime, a service that gives you free two-day shipping on a variety of Amazon products and usually costs $99. Also included with Prime is access to Amazon's streaming music and video services, meaning you've got access to a big library of movies and music on your phone right away. 3-D graphics: Where the Fire gets your attention is with the display: The phone's "dynamic perspective" feature renders graphics in 3-D using cameras and infrared sensors mounted on the front that track your head movements. This is really cool, but is it useful? Not really, or at least, not yet. Dynamic perspective gives you more interesting visuals for your lock screen or for apps like Maps, but not more compelling functionality. An exception to that is in gaming, where designers can build more immersive worlds that respond to players' gestures and head movements. There are already a handful of titles, like To-Fu Fury and Saber's Edge, that make use of dynamic perspective. 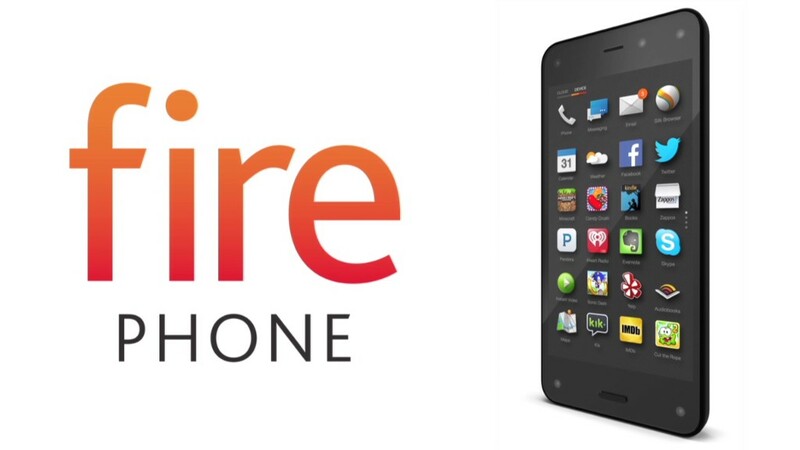 Software: Potential Fire Phone users will have to decide whether it's worth learning a new operating system. The Fire home screen features an app grid like you'd see on iOS or Android, but within the apps themselves, you bring up additional options and features by flicking your wrist left or right. If you get confused, you can make use of the "Mayday" feature, which lets you video chat for free with a customer service specialist who can help you navigate the phone. In my experience, however, the connection failed multiple times before I was able to get through on an extremely choppy line. Are all these features valuable or gimmicks? That will ultimately depend on what developers can dream up for the Fire Phone. Amazon is working hard to attract app developers to its platform. But with only about 250,000 titles at present (and no Google (GOOGL) apps, including Maps), it's got a long way to go to compete with Apple's (AAPL) iOS and Google's Android, both of which feature over 1 million apps. Eventually, Amazon might have the makings of a really nice smartphone competitor in the Fire Phone. But in the meantime, it may have missed an opportunity by not making its first smartphone more affordable. If Amazon made its phone much cheaper than the competition, like it did with the Kindle Fire tablet, it might have convinced more people to switch. If you want your phone optimized for commerce, this may be the device for you. But my guess is not too many of us feel that way.